Top » Catalog » Game Specific Products » Stern Tron / Tron LE » 545-6836-00/01 Bookmark Us! 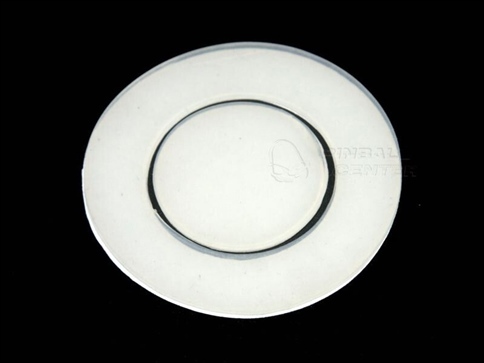 This Tron Spinning Disk Adhesive Pad set comes with the center ring and the outer ring for the Recognizer assembly on Stern's TRON pro and TRON LE machines. This pad set comes in CLEAR to minimize the black residue present with the stock black pads and more importantly; allow for great lighting effects from under the pad. Please see this Pinside thread for details on install and for installed pictures. Notify me when "Spinning Disk - Pad Set" is re-stocked.